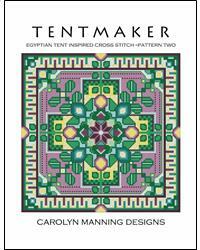 A design inspired by Egyptian tent making. Colorful and fun to stitch, this cover all pattern uses all full stitches to complete. Finished stitch count 142w x 142h. Charted with 11 DMC colors.